After being shortlisted in the 2018 FreeFrom Eating Out Awards, Perrywood Tiptree garden centre has announced it has won a gold award for the category ‘Newbies’ at the 2018 FreeFrom Eating Out Awards. The garden centre is home to an award-winning Coffee Shop serving everything from hot lunches, paninis and ploughmans to scones and cakes, all of which can be found on the Coffee Shop’s specially designed ‘free from’ menu. The FreeFrom Eating Out awards recognise the best ‘free from’ eateries in the UK from quirky beach hut cafes to five-star restaurants. 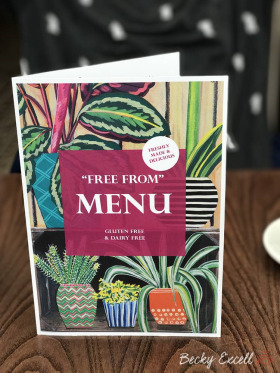 With an extensive menu of gluten free and dairy free options, it is no surprise that Perrywood is one of only seven shortlisted for the FreeFrom ‘Newbies’ award in the UK. These national awards, now in their fifth year, not only raise awareness of ‘free from eating’ within food service but also set a standard for excellence to which free from eateries can aspire. As part of the awards process, an expert judge visited Perrywood and shared a report on the free from offering. The report was compiled based on the eatery’s understanding of how to cater safely for those with food allergies, as well as the ability to provide guests with exciting, innovative and delicious food. All winners were visited by one of the expert secret diner-judges, all of whom are coeliac or food intolerant themselves. The FFEAO judge described the food at Perrywood as ‘delicious’, ‘loved the menu’ and said the Coffee Shop was a ‘hidden gem nestled within a beautiful garden centre’. The judge ordered a gluten free sandwich and commented it had ‘lots of filling and the bread was nice and fresh’. The judge said the gluten and dairy free scone ‘literally melted in the mouth – one of the best I’ve had’ and said the gluten free coffee cake had ‘perfect taste and texture’.